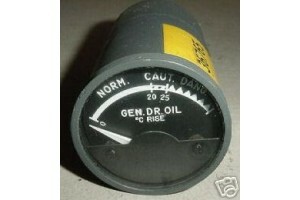 2" Eastern Airlines DC-8 Generator Drive Oil Temperature Indicator. Manufactured by Lewis Engineering. P/N 147BDL2. 28V DC Indicator. Very clean item. Removed from salvage aircraft.